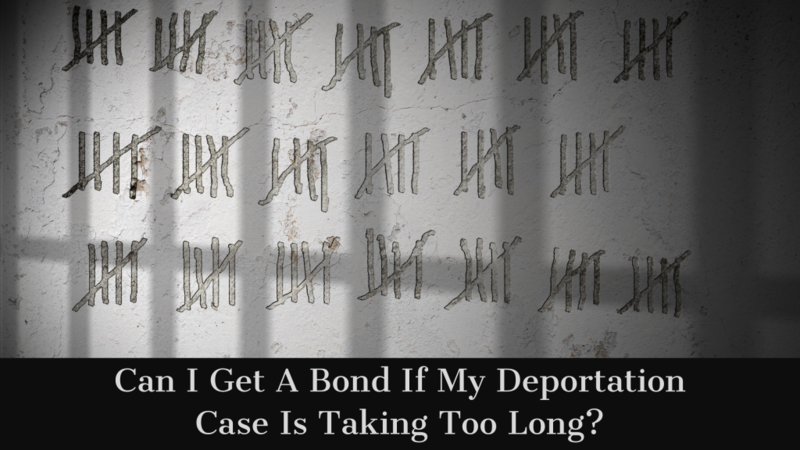 Can I Get A Bond If My Deportation Case Is Taking Too Long? Immigration lawyers throughout the country sighed together last week when a new United States Supreme Court decision came down concerning people in deportation proceedings. The Supreme Court was deciding whether a person who has been detained for four years while his deportation case was pending was entitled to a bond redetermination. In an unfortunate decision, the Court held that under the current state of the law, a person in deportation proceedings is not entitled to a bond redetermination. What were the facts of the case? Alejandro Rodriguez, a Mexican citizen and lawful permanent resident (greencard holder) of the United States, was convicted in 2004 of a drug offense and a theft offense. Mr. Rodriquez was placed in deportation proceedings (referred to as removal proceedings) and he was detained in a jail during those proceedings. His removal case began in April 2004. In July 2004, Mr. Rodriguez was ordered deported by an immigration judge. Mr. Rodriguez elected to exercise his right to appeal the immigration judges decision to the Board of Immigration Appeals (BIA). The BIA agreed with the immigration judge that Mr. Rodriguez was subject to mandatory removal based on his conviction. Mr. Rodriguez then appealed the BIA’s decision to the Ninth Circuit Court of Appeals. His case languished before the court of appeals and in May 2007, more than 3 years after he was initially detained, Mr. Rodriguez filed habeas petition in Federal District Court claiming that he was entitled to a bond hearing. The District Court initially denied his habeas petition, but the Ninth Circuit Court of Appeals reversed the District Court’s ruling and the District Court eventually entered an injunction basically requiring that a bond hearing be held every six months where the government must prove by clear and convincing evidnece that further detention is justified. The government appealed and the United States Supreme Court took up the case. What is the law regarding incarcerating people in deportation proceedings? The law relating to the detention of people placed in deportation proceedings can be found in 8 United States Code §1225 and §1226. 8 USC §1225(b)(1) and (b)(2) lay out the law relating to detention of aliens who are seeking admission and placed in deportation proceedings. This includes individuals who come to the U.S. with no documents and seek asylum at the border. The law requires mandatory detention. For those already in the United States, 8 USC §1226(c) requires mandatory detention for certain aliens placed in removal proceedings with criminal convictions or terrorist activities. How did the Circuit Court come up with a six month time period for bond hearings? Nowhere in the Immigration Act will you find a six (6) month time period where judges must conduct a bond hearing for people detained pending deportation hearings. So how did the Circuit Court come up with six (6) months? Well, they relied on a rarely used legal principal called “canon of constitutional avoidance.” It comes into play only when after applying an analysis based on the text of a statute, the court finds that the statute is susceptible to more than one construction. Basically, the Circuit Court determined that after reading three provisions relating to detention of people placed in removal proceedings, the statute was susceptible to multiple interpretations and therefore they had the authority to create a workable solution. However, the Supreme Court determined that the Circuit Court misapplied the canon of constitutional avoidance and there was no statutory support for their six month rule. Why did the Supreme Court hold that there is no right to a bond hearing even if detention lasts years? The Supreme Court, reading the statutes passed by Congress, found no provision limiting the amount of time that a person can be detained while their deportation proceedings are ongoing. The Supreme Court also noted that Congress failed to pass any legislation relating to a bond hearing for those same people. So, as the law stands right now, based on this Supreme Court decision, any person in removal proceedings or who is appealing an immigration judge’s or BIA’s decision ordering removal is subject to detention throughout the entire process, even if the process takes several years due to the court’s own slow moving nature. Jeremy Lasnetski is a partner at the Law Offices of Shorstein, Lasnetski, & Gihon. The firm focuses on criminal defense, immigration and personal injury. Mr. Lasnetski focuses his practice on immigration and criminal defense. Mr. Lasnetski is the former Jacksonville Regional Vice Chair of the American Immigration Lawyer’s Association, Central Florida Chapter and has represented clients in deportation proceedings, USCIS benefit cases, consular processing cases, and more. 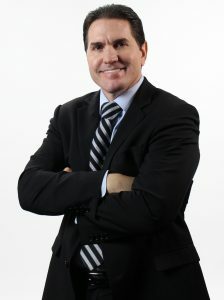 He routinely gives presentations on immigration law issues to both criminal and immigration lawyers at conferences and seminars throughout the State of Florida.